Potters Wood (approximately 3.5 acres) is one of our fantastic outdoor spaces with a wide range of uses, featuring a diversity of flora and fauna to explore. Set well back from the main road, it is a safe and contained area in which children can play, explore and learn about the natural world. It is also a private and sheltered area if you fancy holding corporate team building activities and away days in the fresh air. There is access to toilet facilities and kitchen facilities with free tea and coffee in The Barnyard, a short walk from Potters Wood. Potters Wood is on a gentle slope, and due to the uneven terrain underfoot is unlikely to be suitable for wheelchair users. If you have any other access needs please contact us to discuss them. 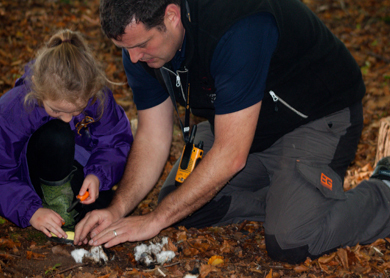 Potters Wood is the perfect environment to learn and develop bushcraft skills. Located in a small and contained wooded area, the space offers natural tools to teach and learn survival skills such as fire starting, den building, and hand-carving wood. Potters Wood is available for organizing your own bushcraft classes or joining in on existing bushcraft classes being held at Highway. Please contact us to learn about existing classes being held or to hire the wood for your own activity. 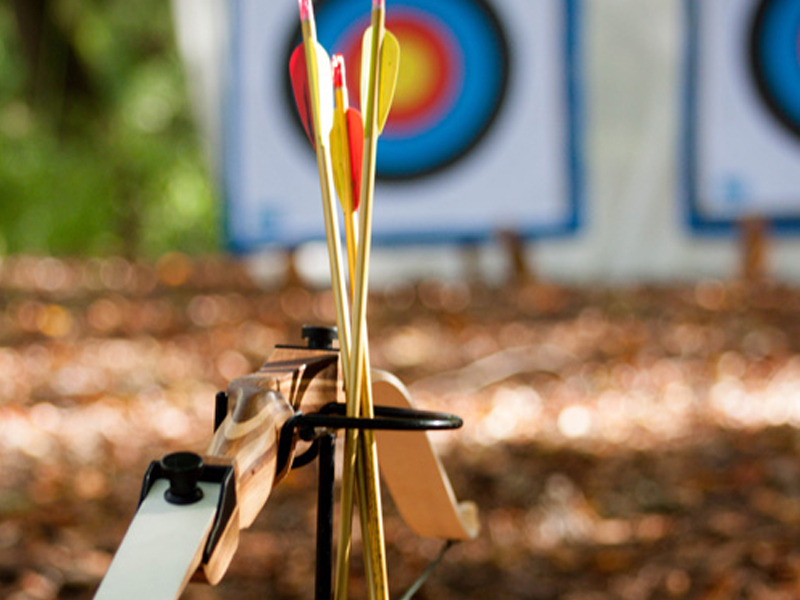 Archery is a great activity to develop strength, skill, patience, and concentration and Potters Wood is a fitting location to hold archery classes and events for both children and adults. The sheltered and peaceful environment keeps the archery classes safe and contained, giving you plenty of privacy to build your skills and quiet nature sounds to aid in concentration. Our woodland space Potters Wood has been popular for holding Forest Schools and forest learning sessions, providing a space for people of all ages to learn about the natural environment. The space is suitable for both school and extra-curricular group bookings, and the booking includes the space as well as access to the public footpaths around the space for long walks through more natural areas. 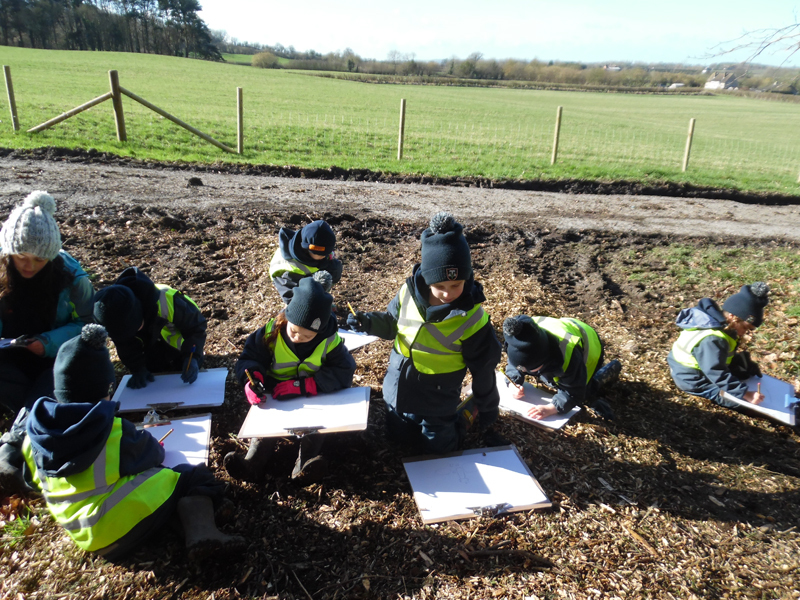 If you are interested in holding a Forest School at Highway Hill but don’t have any trained Forest School teachers, please contact us and we can put you in touch with our contacts. Potters Wood is available for hire every day of the week during daylight hours, which vary depending on the season and time of year, as the space is best used in natural lighting and we have left it free of electricity. We are happy to be flexible with these hours if it is suitable for your event – please get in touch if you would like to discuss an event you would like to run and the hours that best suit your event or activities.